Dustraction know how important productivity is to our customers that is why we offer after sales service maintenance contracts tailored to suit our clients’ individual requirements, not only on our equipment but on all other manufacturers’ systems. Our dedicated maintenance engineers ensure your equipment is maintained to give optimum performance ensuring plants are operating at maximum efficiency at all times. We also offer an emergency breakdown cover, meaning in the event of a breakdown our engineers will be on-site within hours. We have a large range of consumables in stock and pride ourselves on providing spares for the vast majority of dust extraction systems. We also manufacture filter bags to order for obsolete equipment. Operating for over 50 years, Dustraction has become one of the UK’s leading independent companies in air quality and dust control. 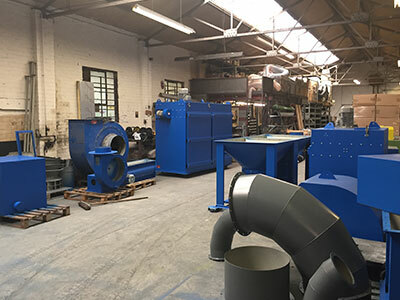 We provide innovative engineered dust extraction solutions for a diverse range of industries, manufacturing facilities and educational establishments. Our central location means that we are conveniently situated to provide a prompt service to all areas of the UK.